JUNEAU — Sen. Bert Stedman, a Sitka Republican and co-chair of the Senate Finance Committee, has an analogy for what will happen on the day Gov. Mike Dunleavy reveals his budget proposal. It’s the battleship Arizona on Dec. 7, 1941. 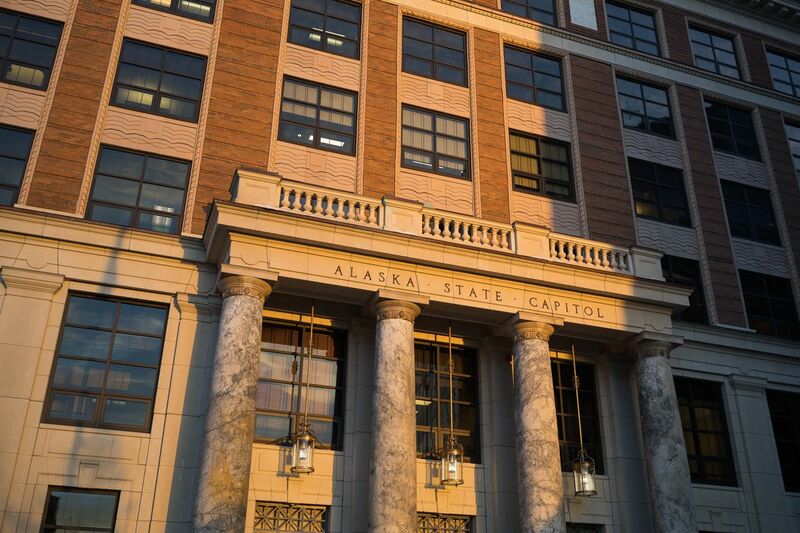 In Alaska’s Capitol, lawmakers are anxiously awaiting the governor’s plan to balance Alaska’s state budget by cutting $1.6 billion from the state’s budget and say Alaskans aren’t prepared for what’s to come. The expected cuts are a direct consequence of the state’s revenue forecast, the governor’s pledge to pay a $3,000 Permanent Fund Dividend to each Alaskan, and the governor’s promise to present a balanced budget. They leave the governor with a tall challenge: Showing how. “We need to have that discussion: If it’s paid here, then here are the ideas that the Dunleavy administration has about how,” said Rep. Tammie Wilson, R-North Pole. Wilson has spent years trying to cut spending as a member of the House Finance Committee, but even her proposals were moderate compared to what will be proposed by the governor. “On the best day, I think we were around one (hundred million) or two (hundred million), maybe $350 million,” she said. The governor will be proposing something more than four times as large, and some lawmakers say it’s not politically possible. Sen. Tom Begich, D-Anchorage, and the Senate minority leader said, “I’ll say that no, I don’t think there’s support for that." The governor has until Feb. 13 to present his completed budget to the Legislature, but lawmakers and the public already have half of the budget picture. Lawmakers know how much money the state expects to have, even if they don’t know how it will be spent. In the next year, Alaska is expected to get its money mainly from three sources: Oil taxes, the federal government, and the Alaska Permanent Fund. That last part is new. In 2018, lawmakers approved Senate Bill 26, creating rules for a regular transfer of money from the Permanent Fund to the state treasury. The transfer is limited to 5.25 percent of the fund’s average value over five years, and the transfer will fall to 5 percent after three years. In the budget approved last year, the transfer was $2.6 billion. In the budget approved this year, because the fund’s investments have done well, the transfer will be $2.9 billion. Critically, because of disputes in the Legislature, SB 26 does not reserve a specific proportion of the transfer for a dividend. Legislators will decide the amount of the dividend each year. As long as lawmakers follow the law of SB 26, the dividend will compete with other state services as a budget item. Spending an extra dollar on schools means one less dollar for the dividend. Want a larger dividend? The governor or lawmakers must cut road plowing, health insurance, fisheries monitors or some other state service to compensate. “If the dividend is out here, with oil prices here, this is what government looks like,” explained Wilson. Gov. Bill Walker and last year’s legislators were willing to cut the dividend to preserve government services. Dunleavy has a different approach. He believes the dividend is an obligation from the state to its people and should not be reduced. Paying a full dividend, he said in a Jan. 16 press conference, will help restore Alaskans' trust in government. That approach isn’t free. Paying a dividend along the traditional formula used before SB 26 will give every Alaskan about $3,000 but will cost $1.9 billion, leaving the state with a deficit of $1.6 billion. Cut the dividend to $400 per person, and the deficit is eliminated, according to figures from the nonpartisan Legislative Finance Division. Given the governor’s promise of a full dividend and the results of November’s elections, that is not likely, nor are any significant cuts to the dividend. The governor has pledged to present a balanced budget to the Legislature, which means it will be up to him to show how. Details are limited, and lawmakers are generally reserving judgment until they see the details. Sen. Natasha Von Imhof, R-Anchorage and Senate Finance co-chair with Stedman, said it’s “jumping the gun” to declare that all $1.6 billion in cuts will come from eliminated services. “We need to understand what the effects are. What I’m hearing in the building is — the priority is to find efficiencies. Maybe it’s duplications, maybe we’ll see where agencies can work together and maybe provide the same services at a lower cost,” she said. Some Democrats, particularly in the Senate, are offering a suggestion of their own. Sen. Bill Wielechowski, D-Anchorage, supports a dividend along traditional lines, just as the governor does. He has also proposed eliminating a tax credit paid by the state to oil producers on every barrel of oil produced from the North Slope. Eliminating that credit would save the state between $1 billion and $1.5 billion per year. He has support from Sen. Scott Kawasaki, D-Fairbanks, but with Democrats in the minority in the Senate and Republicans reluctant to cut support for oil and gas production, the idea isn’t likely to advance. If lawmakers balk at significant cuts to services or the dividend and are unwilling to raise taxes, they will need another way to pay for the state budget. 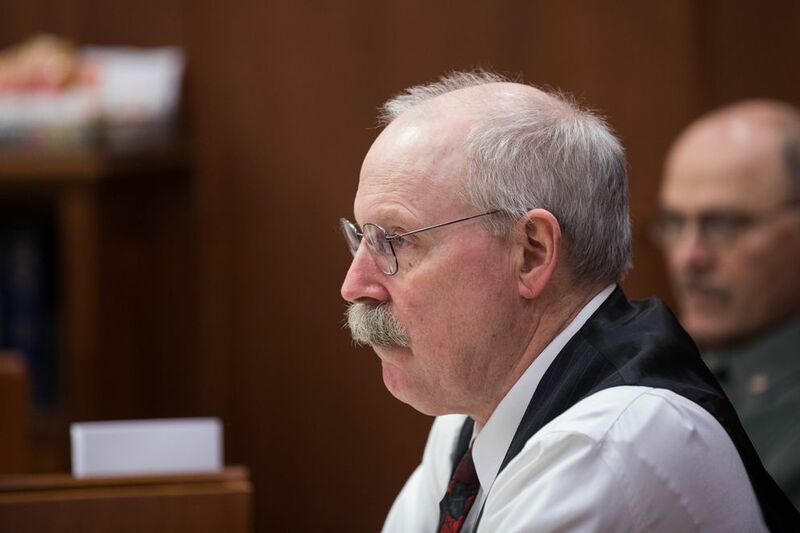 The state’s Constitutional Budget Reserve will contain more than $2 billion and could theoretically be used, but Wilson and Stedman each said that fund is needed to manage the state’s cash flow, acting as kind of an oil pan for the government’s economic engine. In addition, spending from that reserve requires the support of three-quarters of the House and three-quarters of the Senate. For the first week of the Legislature, the House has been unable to garner a simple majority to elect a new leader. That leaves the Permanent Fund itself. While Senate Bill 26 established rules for withdrawals, those rules are not binding: The Legislature could ignore them at any time with a simple majority of the House and a simple majority of the Senate. That worries Stedman. "Spending cuts are hard. Taxes are hard. The easiest vote is to loot the Permanent Fund,” he said. It also worries Von Imhof. She offered a rough estimate: Every billion dollars removed from the Permanent Fund above the SB 26 rules means $100 million less in future earnings — each year. That means less money for dividends and less money for the state in the future. Stedman said he is determined to prevent that from happening.